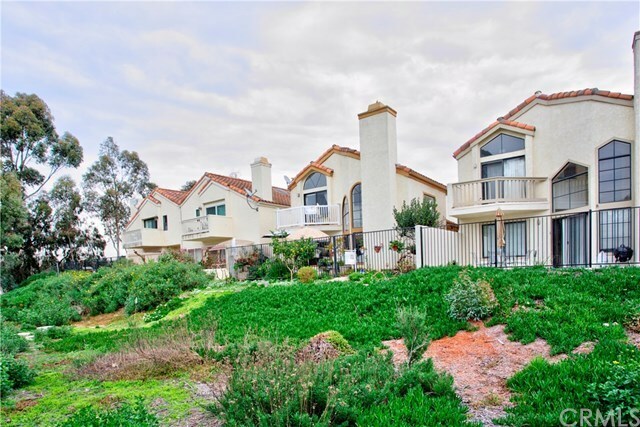 Unbelievable price for a 3 BR 2.5 BA DETACHED GATED HOME with wide open sunset views over the ocean! 2 car attached gar. Serene wilderness park practically in backyard! Only 16 homes in this tucked away intimate community COMPLETELY SURROUNDED BY OPEN SPACES! 1/2 hour WALK THROUGH A DEDICATED WILDLIFE PRESERVE TO THE BEACH! Granite kitchen countertops, 20â living room ceilings with skylights. Huge master BR with vaulted ceilings & balcony. completely owned -TESLA ENERGY (formerly Solar City) heated pays you back. Your electricity pays you! ALL OF THIS AT AN AMAZING LOW PRICE! WHERE ELSE CAN YOU FIND A 3 BR DETACHED HOUSE WITH A VIEW FOR LESS THAN $480 P/SQFT?